Features include a Bible reading plan, four-color maps, a topical concordance, and a presentation page. The uncluttered, two-column format and the large text make for easy reading. 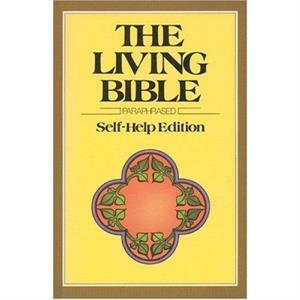 The Living Bible is a paraphrase of the Old and New Testaments. Its purpose is to say as exactly as possible what the writers of the Scriptures meant, and to say it simply, expanding where necessary for a clear understanding by the modern reader, 1,020 pages. Size approximatly 9.50" x 6.75"